I loved this mash-up and I loved this kid. 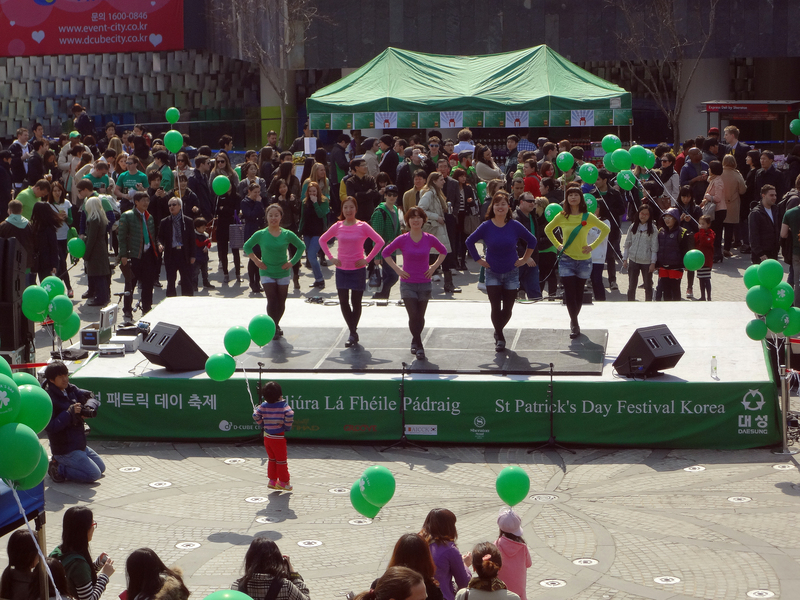 (D-Cube City, Sindorim)—I had no idea St. Patrick’s Day was big in Korea. My favorite part was the ladies who mixed Irish dancing with K-pop, and the little kid with stripes who followed them. People had green balloons and could get free scones and nearly everyone was civilized and no one was vomiting. I love globalization. Happy St. Patrick’s Day, one and all!